I belong to Lidderwan village of north Kashmir’s Trehgam area in district Kupwara. My father, Abdul Jabbar was a political worker of Congress and a close associate of slain Hurriyat leader Abdul Gani Lone. We had close terms with Lone family. When I was 13-year-old, somebody spread a word in the village that three persons have been arrested in Langate. Three incarcerated men included Maqbool Bhat and his close associates, Hamid and Riyaz. I remember Bhat, carrying camera and wearing goggles, would come to our village for the purpose of surveying roads. His aunt used to live in Lidderwan. Hamid and Riyaz wouldn’t talk, but Bhat would interact with villagers in not-so-fluent Kashmiri. As a kid, I had heard his name and his heroics. After his arrest, he started ruling over my imaginations. And soon, I started making posters to spread awareness about him, his party Liberation Front and Amanuallah Khan. In rallies, I would pitch slogans about Maqbool Bhat. This brought me closer to Bhat family. The relation wasn’t out of conviction, rather an emotional attachment. Meanwhile, Bhat was hanged inside Tihar Jail on February 11, 1984. And soon we created a committee, which started an agitation. I was arrested, slapped with Public Safety Act (PSA), and lodged in Srinagar’s Central Jail. 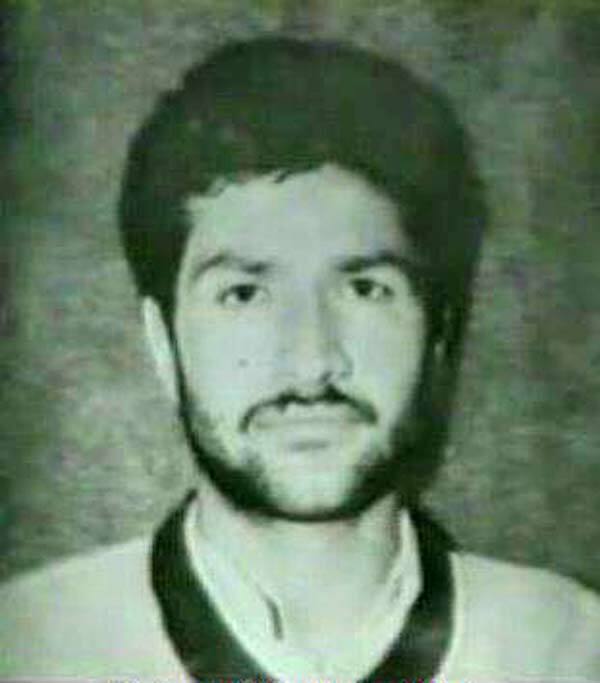 When I stepped out of the jail, I learnt that JKLF had contacted Shabir Shah. But somehow the deal couldn’t succeed. And then in 1987, a man from Pakistan administrated Kashmir (PaK), namely Nazim Ud Din came up with a message, which was about to change the course of our history. His code name was Babar. He informed me that JKLF leaders wanted to meet me. Later, as Babar started opening up, he revealed that JKLF had done some secret pact with Zia Ul Haq, the then Pakistan President, with the purpose to start something in the valley. I told him that we were running a movement on a small scale in Kashmir and didn’t want to contact Pakistani counterparts as we feared that they might arrest us. Earlier two of our comrades, Manzoor Shah and Abdul Rashid Beigh had crossed over to Pakistan, but were arrested and subsequently, pushed back to the valley. Beigh later told me that Pakistani guards lashed them with a whip namely, Chal Chameli. So in a way, we were very sceptical about our visit. There was a third man, who knew what was going on. He was working for CID and was living in Kupwara. He used to move across the LoC at will. “Come with me, JKLF leaders want to meet you,” he used to tell me before Liberation Front sent Babar to strike a deal with me. We were yet to leave for PaK when Farooq Abdullah visited Trehgam for election campaigning in 1987. We protested against his visit and pitched a slogan Maqbool Bhat ke qatil ko vote nahi, phansi do (Don’t vote, hang the killer of Maqbool Bhat). The stage of Abdullah was demolished and he and his party workers were badly roughed up by angry crowd. And soon, police launched a hunt to nab me. I was soon arrested by one SP Ganju, and again booked under PSA. I was taken to Central Jail Srinagar. There I met Ashfaq Majeed Wani, Mohmmad Yasin Malik, Hilal Ahmad War and others who were arrested on the charges of stone pelting. Every morning, I would watch Ashfaq Majeed drinking glucose water and exercising rigorously at length. I found him a brave man, and got impressed with his sentiments. And soon befriended him. We would discuss pros and cons of resistance movements across the globe. And, we became very close friends in the jail. We promised to meet each other soon after coming out of jail. I also promised him that I would take him to Pakistan with me, which made him very happy. I was the first to come out of the jail. And as Ashfaq was released, he visited my home. I advised him to meet me at the residence of one Mohammad Yousuf Lone, now district president of Tehreek-e-Hurriyat led by Syed Ali Geelani. After some time, Ashfaq showed up with Yasin Malik at Lone’s residence. But I couldn’t meet them as I was expecting a man from the other side of fence, Gazi Khan, for finalising my then PaK visit. And finally in September 1987, three of us [Waza, Bhat and Babar] left for PaK. It was for the first time when somebody was going across for formal talks with JKLF leadership. We left at the crack of the dawn and reached Rashanpora through jungles. We stopped at a place called Domhari. Mild vigilance and fog covered route provided us easy passage. But to avoid arrest, we took salt along, knowing that in case of arrest, we would tell troopers that we were looking for our herd, which was a common practice in the area. Upon reaching a village called Routa in PaK, we met a man who told us that Pakistani army was well aware of our visit. It was first time when I sniffed that everything was scripted. And then, we reached a place called Athmuqaam, where we spent a night at the residence of one Gul Wani. At his residence, two men visited us. They were Pakistani army personnel. One of them was known as Rizwan. He told us that even Sardar Qayoom, the ruling head of PaK, wasn’t aware about the deal we were about to sign. As I said, it was a secret operation (brainchild of Zia Ul Haq and JKLF) supervised by one Colonel Asad working for ISI. Rizwan, who was working for Asad told us that a vehicle would lift us to Muzaffarabad next day. But vehicle didn’t arrive. We were told that we should instead travel by bus. It took us 5 to 6 hours to reach Muzaffarabad. On the way, our bus paused and we went to a hotel for taking tea. I saw two men of my native neighbourhood there. Upon enquiry, they told us that in winters they sneaked in there for earning livelihood. This is to tell you that fences were then porous enough for the movement. In Muzaffarabad, we were taken to the residence of one Raja Muzaffar, then General Secretary of Liberation Front. During our chat with the man, he said Zia Ul Haq wanted Kashmiris to fight for their cause with the support from his government. As he opened up, he said that it was Amanullah Khan who was expected to go Kashmir instead of Maqbool Bhat. He recalled Bhat as a fearless man, who believed that his active involvement would help resistance movement in the valley. “In fact, we insisted him [Bhat] to stay back near Rawalpindi station, but he didn’t pay any heed and went ahead,” he told us. 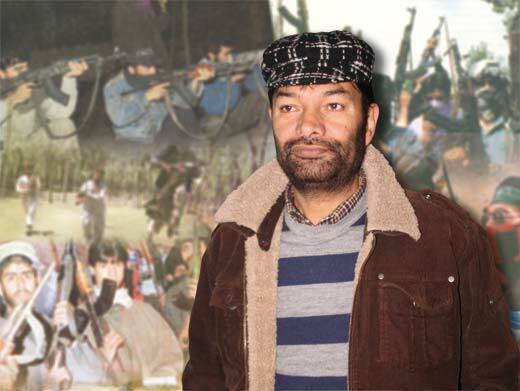 But as Bhat was arrested in the valley, Muzaffar said, JKLF shook to its core. And soon a suspicion cycle started for Front leaders in Pakistan. Already Hashim Qureshi had escalated suspicions for Kashmiris among Pakistani authorities by hijacking an Indian Airlines plane on January 30, 1971 (Ganga) en route Jammu from Srinagar and made it land at Lahore in Pakistan. Muzaffar described Qureshi as an Indian agent, who was working for BSF on some well-hatched ploy. His action, Muzaffar said, subsequently led to the fall of Dhaka in December 16, 1971. 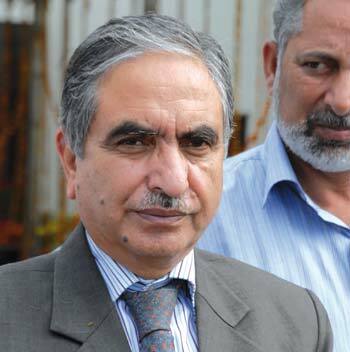 But Muzaffar said that there was a change in the perception of Pakistan toward JKLF after Bhat was hanged. Till then they were under an impression that Front leaders were Indian agents. Soon Colonel Asad [who was later elevated to ISI chief]met us at Muzaffar’s residence. We told him that we want to meet Maqbool Bhat’s two sons who were in Peshawar. But instead, he took us to Dr Farooq Haider’s residence in Rawalpindi next day. So, finally a pact was signed at the residence of Dr Haider in presence of Dr Abdul Rashid Hasrat, Faizullah, Saifullah and Colonel Asad. Dr Haider assured us that Zia Ul Haq would himself inspect the training camps. After returning to the valley, we started motivating young men for the resistance movement. And then, I met Ashfaq and Malik in Mahmood Sagar’s home in Srinagar. I told them that they should prepare their minds for the independent Kashmir rather than supporting merger with Pakistan. I gave them certain books to read, written by Amanuallah Khan, and advised them to prepare their mindset before taking a final call. In between, I and Bhat Sahab met Hilal Baigh, who was running a tin sheet shop in Srinagar. When he knew that Bhat is younger sibling of Maqbool Bhat, he took us to his home at Aloochibagh. He was a brave man who had a deep love for resistance movement. He later arranged our meeting with another brave youth, Abdul Hamid Shiekh. And then, a historic day dawned on Feb 1988, when we sent first group (of four boys) for arms training to PaK. Hilal Baigh, Hamid Shiekh, Waheed and Ali Mohammad Peer were part of it. Soon after the first group returned, Bhat Sahab and I started recruiting youth separately. The motive was to protect the movement. Neither me nor Bhat Sahab knew about youth we were getting on board. I would always wear goggles, would wrap my face with cloth and always wear Afghani cap. They called me Topi Wala. The motive was to conceal my identity for the larger benefit of the movement. Then second group comprised of six men left for arms training. Maqbool Illahi, Javeed Jehangir, Ashraf Dar, and others were part of it. Aijaz Dar, Nisar and Shabir were in third. Meanwhile, I met Ashfaq in Srinagar, again. He told me that he was mentally prepared for the arms training. Earlier, he was having a pro-Pakistani slant. He told me he would be accompanied by Malik, but I told him not to take him along as he was physically very weak. I was making it sure to pick up strong men for the movement. Fourth Group: Headed by Ashfaq, Malik crossed over to ‘Azad Kashmir’ for arms training. Finally, the fourth group headed by Ashfaq left for arms training in PaK. Malik and Manzoor Ul Islam of Trehgam were part of the group. While travelling, Malik complained about headache, but was told to tolerate it, otherwise he would be shot dead. They left for training on June 6 and returned on June 24, 1988. They left their arms in the jungle while returning. Later, Bhat Sahab took a lorry full of that ammunition to my home. We dumped it in a grave in the local shrine of my village before shifting it to Srinagar. We hired a taxi for the purpose by telling taxi driver that we were carrying marble finished articles to Srinagar. He charged Rs 400, but I gave him Rs 1000, which made him happy and he left for Srinagar. On the way, a nozzle of a gun poked out of a sack. The driver understood that we were carrying guns instead of marbles. This made him pee in his pants. As he started pleading that he should be let off, I told Ashfaq that we need to kill him only to make him keep quiet. Somehow we reached Barbarshah in Srinagar, where Ashfaq’s relatives were staying. After unloading arms there, I traveled back to Trehgam in the same Taxi. The next morning, I took one Abdul Hameed along and left for PaK for arms training myself. It was June 26, 1988. After reaching Muzaffarabad, we met Amanuallah Khan, Raja Muzaffar, and Colonel Asad. 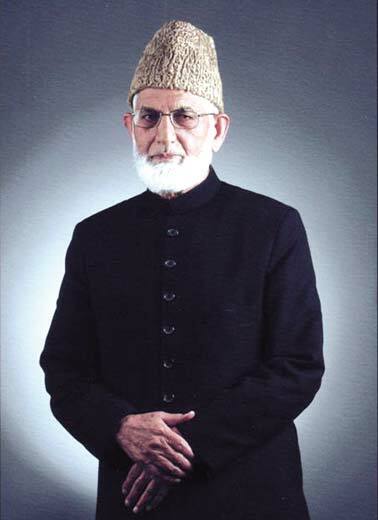 Some persons like late Hurriyat leader Shiekh Abdul Aziz who too had crossed over, proposed that we should work for Kashmir’s merger with Pakistan. ISI officials strongly objected the proposal by saying that they couldn’t withdraw their support from Liberation Front. Meanwhile, I myself received training in Rawalpindi camp and would stay in the house of Shiekh Abdul Rashid, a former minister of Pakistan. It was the same camp from where arms would be issued to Kashmiri youth. After I returned to the valley, Babar showed up with the startling message. “Leaders of Liberation Front want you to carry first bomb blast now,” Babar told us. I resisted by saying that it was not part of program. But he replied that JKLF wanted to send some strong message at international level. And then, Srinagar shook up with three bomb blasts on July 30, 1988. One blast defaced Telegraph Office, while other two rocked nearby places. The blasts were carried by six of us [Waza, Bhat, Babar, Khalid, Arshid Koul and Shabir]. To carry the blast, Babar disguised himself as a Sikh. The next day, I went to meet late Abdul Gani Lone at his Srinagar residence. Mukhtar Ahmad Sofi of Islamabad was also there. He informed me that Shabir Shah had told him that Ashfaq Majeed, Yasin Malik and Javed Mir were underground in south Kashmir’s Islamabad district to prevent arrest, and that they wanted to go to PaK once again. During the same time, Hilal Beigh brought Mushtaq Zarger (Latram) for arms training to us. Latram was the part of sixth group which crossed over. On August 17, 1988 Zia Ul Haq died. His death crushed the Liberation Front movement. Benazir Bhutto government, which came to the power in Pakistan, wasn’t aware what was going on the ground. In fact, Bhutto was about to make some secret names associated with the movement public. And subsequently, many training camps were closed down in PaK. But later Nawaz Sharief government revived the movement a bit. On October 27, 1988 we did carry out more blasts. They were second major blasts that year carried by Ashfaq, Malik and Mir. After that I went to examine Sopore Bridge to blast it, but I was arrested there. As independent movement launched by JKLF started getting attention at international level, Pakistani army stopped backing Zia’s secret plan. They thought the plan would uproot their stand on Kashmir. During the same time, people like Khalid Bangroo, Ahsan Dar, Nasir Ul Islam and General Abdullah met in some Dak Bungalow in Tangmarg, and they decided to run a parallel party, Ansarul Islam. They wanted to take Pakistan on board to run the movement for the merger of Kashmir with Pakistan. This was quite contrary to Zia Ul Haq’s plan. Ultimately this led to fissures and feud in the resistance camp. The opportunity was aptly cashed by Indian agencies by starting their own infiltration. I was detained in a number of jails across India, including Jodhpur and Tamil Nadu. I was in RAW custody for sometime as well. And then, Rubaiya Sayeed was kidnapped on December 8, 1989. I and Ghulam Nabi Bhat were also on the demand list of JKLF against the release of Rubaiya, but after two days, our names were dropped and replaced by Khurshid Chalkoo and Captain Rashid. But why names were dropped? I guess, it was a politically motivated step. Maybe, somebody never liked the idea of independence. Besides, certain elements within JKLF didn’t want us to come out of prison so as to keep their say intact in the party. And yes, after Zia’s death, JKLF in Kashmir developed an anti-Pakistani slant. They were influenced by National Conference ideology. So, I parted my ways from JKLF soon after spending four years in prison. The very creation of Hurriyat Conference was the biggest conspiracy against the resistance movement hatched at international level. Its foundation was laid down in US with the support of Indian as well as Pakistani intelligence agencies. Except Geelani, others were all part of the big ploy. Hurriyat, which is excelling on the Azadi slogan was the sole reason behind the downfall of resistance movement, as it was working under the control of Indian intelligence. Before the Assembly elections of 1996, Imran Rahi wanted an interaction session with Pakistan Embassy in New Delhi. 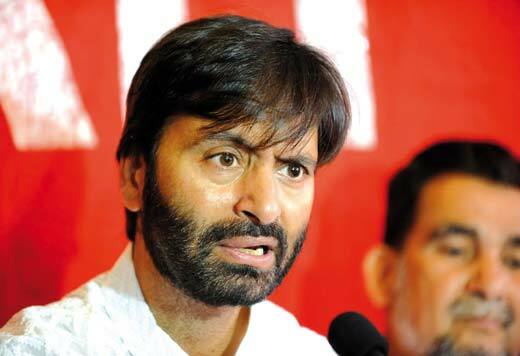 I was deputed by Hurriyat to guide the three militant commanders to Pak embassy in New Delhi. They were Bilal Lodhi, Babar Badr and Imran Rahi. At Jammu’s Samrat Hotel, strangely Ghulam Hassan Mir, now state agriculture Minister, greeted us. This puzzled me, but Rahi played down my doubts about Mir’s presence. And soon we were flown to New Delhi in executive class and were accommodated in five star hotel. Somehow I sniffed that it was an attempt of sell-out. And next day, I managed to dial a number of Pushp Saraf, The Indian Express journalist and disclosed to him the secret visit of the militants in Delhi’s Kanishka Hotel. My aim was to save my skin as I had left Srinagar for Pak Embassy, but landed among the conspirators. Next day Saraf visited the hotel along with a Srinagar based journalist. Upon the disclosure to press made by me, Rahi expressed his dismay. He later told me that I should have taken the money, accept the political position and maintain quiet. Shocked: Waza was greeted by Gh Hassan Mir at Jammu’s Samrat Hotel. Finally, I returned the air ticket to Hassan Mir and left for Aligarh. Upon reaching there I called Abdul Gani Lone and Syed Ali Geelani and informed them about the conspiracy hatched by the three militant commanders and helped by none other than Hassan Mir. They told me to stay there. After some time they sent a written press statement and directed me to brief the media. I called a press conference and exposed the fact that India had bought the loyalties of three militant commanders. For now I am managing the family fruit business and being the head of a joint family, I have extra responsibility towards the family affairs. Besides, the care of my disabled child features on top of my priority list. I am not a part of any political party whatsoever for now. I am a commoner and am leading a common life. RETRACING REBELLION: A very illuminating free wheeling interview, indeed! We need to know our own history and people like Abdul Ahad Waza need to speak out so that mistakes, if any, may not be repeated. Brother Bilal has put the events very profusely albeit Waza has not put anything under the carpet he knew. Waza ‘best kept secrets’ apart, the role of Jamaat-e-Islami Jammu and Kashmir has to be put on record. The pioneer Jamaet and former Ameer of JeI, Saad Ud Din Tarabali, as head of JeI J&K, was approached by General Zia Ul Haq to launch a formal armed resistance. The plan was to send recruits to other side of LOC through notified routes on VISAS. Only an attempt was made and idea spurned, subsequently. It is only after that the other side authorities searched for other people.